Morrissey and Interpol are teaming up for a US tour together, hitting the DC-area, NYC, Philly, Detroit, Chicago, Austin, Portland, San Francisco, and more this September/October. The NYC show happens September 7 at Forest Hills Stadium. Tickets for that show go on sale Friday (4/12) at 10 AM with presales starting Wednesday (4/10) at 10 AM. All dates are listed below. 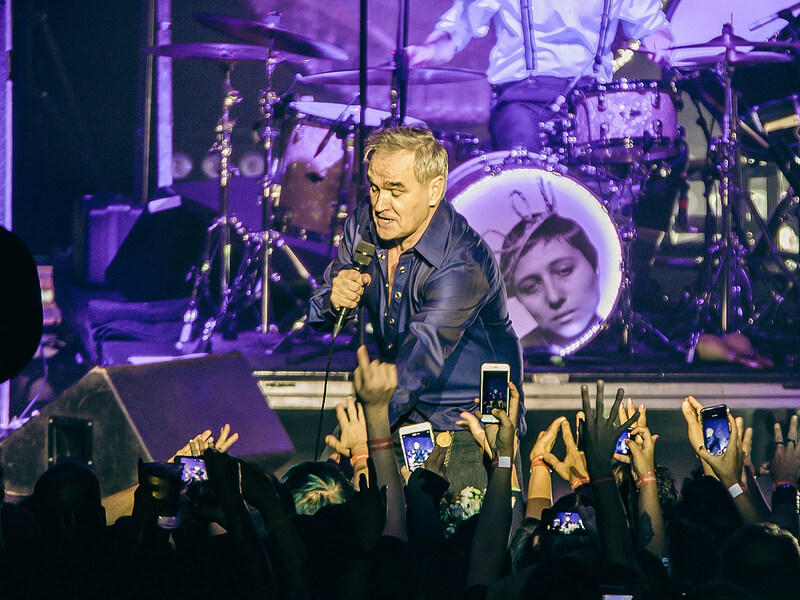 Morrissey has a guest-filled covers album coming May 10, featuring Green Day’s Billie Joe Armstrong, Grizzly Bear’s Ed Droste, that dog.’s Petra Haden, and more. Moz also has a sold-out Broadway run coming up in May. Interpol are releasing their new EP A Fine Mess on May 17 via Matador, and they have other dates, including Red Rocks with Car Seat Headrest, a run with Speedy Ortiz, a few festivals, and more.